Several years ago, I was engaged in a debate with someone about the philosophical beliefs of a certain great historical rabbinic figure. As the debate progressed, I realized that it was futile, because I discovered that my disputant firmly believed that if this great figure had the beliefs that I ascribed to him, then he would be outside the pale of Jewish thought and could not even merit the World-to-Come - which was clearly inconceivable. I pointed out to my disputant that this premise meant that he was fundamentally biased and incapable of accepting or objectively evaluating my arguments. To my amazement, he responded that he could "categorically state" that he has "no tendency that prevents an unprejudiced consideration of this question"! Even more fantastically, he further insisted that he did not even have a bias towards his own previously stated position! So, not only was my opponent fatally biased, but he could not even accept that he had any bias at all, even those that all human beings have! This is your seventh volume of Contemporary Halakhic Problems. Has there been any change over the years in how you approach halachic questions? How could there be? The halacha is the same and the methods of dealing with it are the same. Have you perhaps become more machmir or more meikil over time? Heaven forfend. I don’t know what those words mean. There is no such thing as a machmir and a meikil. Anyone who talks in that language is not a posek. There is a halacha and there is an assessment of pros and cons and different positions and then you apply it in a concrete situation. Sometimes the ruling is more stringent, sometimes it’s less stringent. But the categories of machmir and meikil are extra-halachic. These words shouldn’t even be bandied about. Rabbi Bleich apparently views ideal poskim in general, and himself in particular, as being nothing other than machines, coldly evaluating the sources and issuing a pesak, with no human component. Hence, it is not possible to ever develop new perspectives that change one's approach, or to have tendencies towards stringency or leniency. Furthermore, he considers it utterly unthinkable to propose otherwise. Now, this could be challenged with many historical counter-examples. But aside from that, consider the innate problems with it. Poskim undeniably have different views on things, reflecting differences in their nature and/or nurture. Why would it be impossible for one type of person to change into a different type of person? Rabbi Bleich's view of himself, as some sort of super-human whose approach could never change, seems very strange. But it is entirely consistent with his reputation for reacting very strongly whenever someone corrects him on an error. It is also consistent with his position that Chazal were immune from issuing rulings based upon scientific error; after all, if he is superhuman, then kal v'chomer Chazal were! I would suggest that his response is more of a polemic against the notion that some poskim are more machmir and some are more meikil, whereas the reality is much more complex. Also, the question implies that the process is that the posek has an answer in mind and evaluates the sources to fit that answer, and R' Bleich does not want to acknowledge that as a possibility. Love the Robocop Rebbe! But I am not sure Rabbi Bleich meant that a posek is cold and calculating but rather that he paskens what he sees as true and if it comes out mekel or machmir that's not by design. It does seem to be true though that he is denying the bias inherent in human character to have a tendency to be mekel or machmir, or to care more or less about the human aspect than the law. Based on your quotations, he also seems confused as to the difference between Halachah and Psak. Halachah is a body of law. Psak is application of Halachah to specific circumstances. I could buy the argument that a Psak is neither Meikel, nor Machmir. But the idea that various opinions within the body of law cannot have such labels attached contradicts the writing of the Beit Yosef in the Shulchan Aruch. "There is a halacha and there is an assessment of pros and cons and different positions and then you apply it in a concrete situation. Sometimes the ruling is more stringent, sometimes it’s less stringent." I understood the exact opposite of what you just wrote here. He is specifically talking about how a posek has to look at everything and make a decision based on the specific case at hand. Sometimes the same question will have a stringent ruling, and sometimes a lenient one, all depending on the context. On the plus side, we can soon expect Rabbi Watson (tm by IBM) to replace the Gedolim. I see these as two distinct things. Furthermore, my understanding of a posek is precisely in line with how Rabbi Bleich describes it. I don't see that as implying superhuman-ness, or implying that Rabbi Bleich never changed his mind or that he doesn't consider the situation of a shoel as part of the relevant inputs towards a psak for that individual. He was asked if his approach changed, and to me it makes sense that the approach shouldn't change even if his weighing of the factors might. Rav Gustman ztl used to say: "Before you can pasken the Shaaleh, you need to pasken the person". The issue certain people have with saying "halacha changes" is that then there is no defined line, no concrete system, everything is up for grabs. Then you have obliterated the system of their beliefs. It is obviously correct to state that halacha changes because otherwise how could it be that chazal made a psak and it changed the Torah! We know this is the case from the example of the machlokes between one of the rabbis and chachamaim where he said "if I am right let the walls of this building fall down" the walls fell down and still his argument was not excepted. I think there is another way to look at Chazal's approach to the world. Halacha (and the torah sheba'al peh that supports it) is not built for those who have precision scientific tools like microscopes that can reveal tiny eggs. It is built for someone who only has the tools of his five senses. And this leads us to a different way of cutting up the world, even if it is not scientifically precise, because it is functional for the purposes of halacha. Thus for example flies that appear in a piece of meat are considered to have appeared from nothing, even if it is obvious to anyone who knows about reproduction that they came from eggs, because fly eggs don't exist halachically if we can't see them with our eyes. The 'rationalism' that you 'know' is a diluted western version that has come through several cut downs, ultimately the enlightenment, and used for intellectual knowlede, with the real meaning of the word having been lost. 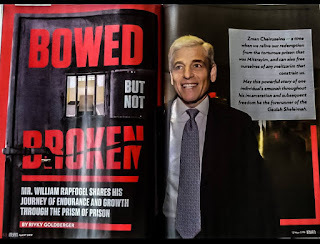 Rabbi Bleich likely doesn't have the true rationalism, but Chazal certainly did. Skeptic, let me take up your challenge. You appear to be defining 'rationalism' as an opening of the mind to the spiritual world. That is more properly a definition of a mystical approach. Rationalism involves using logical mental processes based on observations and accepted factual material, rather than primarily imaginative ones. You can't dismiss an idea by merely redefining it. Your apparent inability to see error in the Talmud is reflected in your statement about fly eggs. You assume that they are too tiny to see unaided and can therefore be treated as 'nonexistent'. While this may be an attempt to justify the disproven concept of spontaneous generation, it is not factual. You can see masses of yellowish fly eggs deposited on smooth black garbage bags. The eggs are, indeed, tiny but they can be discerned as individual round particles. These eggs then develop into easily visible maggots and then to flies. Such observations serve to dispute the rabbinic notion that has been codified in the Shulchan Aruch that 'worms' in some foodstuffs such as cheese are permissible because they are alleged to have been 'spontaneously generated' and aren't the sheretz ha'of or ha'adamah that is biblically prohibited. In fact, they are sheretz ha'of (fly maggots). I don't attribute such errors to sloppy thinking or observation. Given the tools, circumstances, and notions of the times, the Sages did as well as could be expected. Moreover, not all halachot are dependent on the rationale offered in Talmud. For example, the kukiani worm found in the flesh of fish is forbidden according to the 'hilchasa' in T.B. Hulin despite the peculiar rationale given for its alleged mode of entry into the fish. They just didn't have the concept that certain worms like the anasakis can tunnel through the gut after being swallowed by a seagoing fish and end up in its flesh. While Y. Aharon may be right on the specific issue of fly eggs and halachah (I am not competent to say), Skeptic could still be right on the broader point that modern scientific rationalism is a diminished form of rationalism because it excludes as unscientific everything that cannot be measured or quantified. I'm not sure how this would support Rabbi Bleich's position, though. I think you're being a wee bit harsh on Rav Bleich. First, this was an interview in what passes for the general press in the Orthodox Jewish community. Lots of non-religious Jews also read this paper. Given the general Chareidi sensitivity to showing any sign of flexibility to outsiders it's not surprising he would present a simplistic approach that is easily contradicted by facts known to those "in the know". What he doesn't want is to say "Yes, well there are different approaches" and then have some Open Orthodox guy say "And that includes ours!" On the other hand, I'm reading through his Contemporary Halakhic Problems series (mid volume VI so far) and there is a definite change in tone over time. The earlier volumes bring voluminous sources on both sides of an issue but I'm noticing that now the voluminous sources tend to only support his side of the issue. "Rabbi Bleich apparently views ideal poskim in general, and himself in particular, as being nothing other than machines, coldly evaluating the sources and issuing a pesak, with no human component." There is HUGE space between saying that a rav is not supposed to be looking for qulos for their own sake than saying he is supposed to be "coldly evaluating". That said, discussions like this tend to forget hefseid merubah or she'as hadechaq, where leniency is called for. Or aveilus, where there is a similar rule. Rabbanim fight to find a qulah in agunah or mamzeirus, bed'ieved, although the same rav will make a point of being machmir on marriage issues lekhat-khilah. I think you meant to spell it "makhmir" not "machmir." We are approaching a very fatalistic phase in religious Jewry. It may be in response to the formation of such groups as open orthodoxy, but I doubt it. This is 60 years in the making. Interestingly, when Rambam when I had the Karaite problem to deal with, he allowed intermarriage with them, as well as buying from their food stores by giving Hashgacha to them, as is evidenced from the Cairo Geniza. Today, our A I Rabbi's don't have the intellectual capacity nor honesty to deal with any issue that arises, hence the doubling down on and prohibiting everything. What Bleich says is complete nonsense. All of the poskim say things like R. Yitzhak Elchanan was a great meikil. This doesn't mean he was always meikil, but the idea that real talmidei chachamim don't speak like this is nonsense. R. Ovadiah many times said that the Ashkenazim like to be machmir. In general, the introductions to Bleich's volumes are full of statements that no one with any historical sense can agree with. It's a very arrogant response. Saying "How could there be? The halacha is the same and the methods of dealing with it are the same." is effectively saying "After years and years of study, nothing I've learned has changed my understanding of halacha even slightly". The halacha doesn't change, but your human understanding of it certainly can. If you truly believe that nothing you've studied over the years has had any impact on your understanding of halacha, then that tells me that you haven't actually learned anything. Our greatest gedolim have said that every time they re-learn something, they take away something new. But apparently, there are some that believe their knowledge is so perfect and complete that further study is a mere formality that serves no practical purpose. That arrogance, we don't need. Not in anybody, much less our rabbis. I wonder what Rabbi Bleich would say about the times great poskim like the Rosh, Rashba, and R' Karo seemed to have changed their mind (or contradicted themselves)? Poskim, like Judges, are either conservative or liberal. When I was in law school there were still professors teaching the legal theory that this isn't so, and the Judge simply applied neutral analysis to find THE law. (There's a name for this, I cant remember it.) Today though, that theory has been 100% discarded. No one on either side pretends that the Judge doesn't have a particular inclination. The question is only whether one can OVERCOME that inclination. In my experience (and to my chagrin) the conservative judges are better able to overcome their bias to rule in accordance with what the law says, even though they disagree with it. The liberal judges, on the other hand, because of their nature, will invent distinctions and differences to reach the law as they want it to be. Exceptions abound, but as a general observation that is true. It is impossible for R. Bleich not to know this. The Mishnah is already abundantly aware that some tannaim were inclined to chumrah and some to kulah. It sounds to me that R. Bleich is patronizing, as if it would harm the public standing of halacha if he were to admit this obvious fact openly. That attitude is, of course, well-grounded in halacha. And I fully understand the danger of it. That's how you get neo-conservatives like the open orthodox individuals. Still, I don't know how possible it is to maintain the public posture. We're a victim of our own success. In 2017, everyone has gone to yeshivah, and the public themselves study the Gemara advising things not to be taught to the public. Poskim, like Judges, are either conservative or liberal. Agree that people have their biases, but the world is not binary or uni-dimensional so that everything can be put in a single left-right scale. When I was in law school there were still professors teaching the legal theory that this isn't so, and the Judge simply applied neutral analysis to find THE law. That is not really a contradiction is it? There is always a difference between theory and practice. Today though, that theory has been 100% discarded. Did Justice Roberts discard his umpire theory of judging? In my experience (and to my chagrin) the conservative judges are better able to overcome their bias to rule in accordance with what the law says, even though they disagree with it. The liberal judges, on the other hand, because of their nature, will invent distinctions and differences to reach the law as they want it to be. You do understand that a liberal would feel that exactly the opposite is true, right? Exceptions abound, but as a general observation that is true. This makes the theory impervious to evidence, since the evidence can always be classified as an "exception". Another thought: what about all those Chazal who get quoted as having one opinion, then the Gemara says they were quoted with the opposite opinion and then concludes "Well they change their mind"? What does Rav Bleich do with that? One thought is: Open Orthodoxy. When Conservatives and Reformers claim to practice authentic Judaism it's easy to be dismissive. Over the last ten years a new group has developed which rejects large chunks of the accepted traditions but still calls itself Orthodox. This is a new challenge which means doubling down on the whole "There's only one mesorah and it's what we say it is" position. It's not so easy to say "Well, they're clearly not observant" like we used to be able to. I vividly recall the debate to which you allude in the beginning of the post, because it was around that time that I stopped reading your blog as regularly...because I found that YOU were evading reasonable arguments against YOUR position and hiding behind allegations of bias against your opponent. Bias is real, and we all have our biases and preconceived notions (although these can evolve over time, and it may be unfair to assume what a person's innate predilections are based upon factors like where they went to school, who their parents were, etc.) Nevertheless, repeating the accusation "you are biased" in reply to every argument and/or piece of evidence adduced by your interlocutor is no longer a genuine debate. It is itself another form of dogmatic bias. "because I found that YOU were evading reasonable arguments against YOUR position." "Reasonable" is in the eye of the beholder. More to the point, considering how many rounds of back-and-forth I had with R. Zucker, I hardly think that I can be accused of "evading." As one of the Hakirah editors pointed out to me, I could argue to the end of time and nothing would ever convince R. Zucker. How could he accept something which, to his mind, would mean that Rashi was not a great Torah scholar?! "and hiding behind allegations of bias against your opponent." Perhaps it would have been appropriate for you to have disclosed that you are a product of the same hyper-rationalist yeshiva as R. Zucker. I thank you for mentioning that biographical detail about me, because that was exactly what I was alluding to in my comment, and you've essentially proven my point....I am not a "product" of any Yeshiva. I attended Rabbi Chait's Yeshiva briefly almost twenty years ago. Most of my adult life I have learned with Sephardic (primarily Charedi) Rabbis and I have evolved substantially in my perspective on many fundamental issues. This is why I don't identify with any specific institution because none of them accurately represent my eclectic hashqafa. Once again, you've illustrated your inability to separate a person's idea or argument from the school they attended or the ideology you've decided to attribute to them. In response to your claim that you had many "rounds of exchange" with R' Zucker, my recollection is that most of the rounds were comprised of you engaging in ad hominem attacks and attempting to discredit R' Zucker based, again, upon his institutional affiliations and alleged ideological positions. Sadly, this is a quality I have observed in many bloggers - both famous "skeptics" and "rationalists" - and it is one of the reasons I retired from these debates. And for the record: I can only speak for myself, but I disagree with R' Zucker here. It would not disturb me at all if it were to be determined that Rashi was a corporealist. What his philosophical views were are irrelevant to me and would not detract from the value of his writings in my eyes. Nevertheless, I didn't find your arguments or evidence for his corporealism convincing. They struck me as focused more on your claims about R' Zucker being dogmatic than on the content of Rashi's words and the different plausible interpretations thereof. "In response to your claim that you had many "rounds of exchange" with R' Zucker, my recollection is that most of the rounds were comprised of you engaging in ad hominem attacks and attempting to discredit R' Zucker based, again, upon his institutional affiliations and alleged ideological positions." Well, go back and read it again. My initial article was 9000 words and did not relate to R. Zucker at all. My follow-up response to his rejoinder was 10,000 words and said nothing about him being biased. Then it went on, and on, and on. Was I supposed to carry it on forever, when it was obvious that the root cause of the dispute was something entirely different? It's like my "scientific" debates with Ostroff and Coffer about evolution. Am I supposed to engage in endless "scientific" debates with them, when it's obvious that for them, it's not about science, but about their view that evolution is heretical?! What do you think I should have done in *that* case? "What do you think I should have done in *that* case?" I think that the thing to do in both cases is to say that your previous responses speak for themselves and let the matter rest. The goal of a public exchange of opinions is to elaborate your position as much as possible and answer relevant objections. And to retreat from or modify a position based on valid criticism. The goal is not to have your opponent tap out, as in an MMA fight, or to explain why your opponent obstinately refuses to submit to your brilliant arguments. PS. If disclosure is required, I spent more time in that Yeshiva than R Maroof, but almost 30 years ago, and none of my absurdities should be pinned on that institution. I have to disagree. I think that in cases such as evolution, it is important to point out that these are actually religious debates masquerading as scientific debates. You are making a good point, but I believe the answer is not ad hominem attacks. It is in differentiating the assumptions being made. WRT evolution, this involves pointing out the adversaries arguments are based on Talmudic-like legal argumentation, rather than the combination of models and experimentation that are needed to demonstrate an empirical truth. One can also point out that the adversary is implying a mass conspiracy among scientists to ignore the evidence. Another example, would be an argument that I've seen you make, which is that some of the founders of modern Geology were religious and had to revise their initial assumptions in face of the evidence (this helps counter the conspiracy theories of the young earthers). On the Rashi thing, the only point that seems worth making is that one of the difference between the sides is that one side feels that it would be a terrible mark against any sage to be a corporealist, while the other side doesn't think so. That doesn't prove your point in any way, but it does help tease out the elements of the dispute without asserting bias. I don't understand why someone can't say, "I believe evolution is heretical, and reject evolution even if all the current evidence supports it. Nonetheless, I would like to show that the scientific evidence does *not* currently support it." One can be committed to an anti-evolution stance and still debate the evidence. In fact, one could conceivably argue that *because* the evidence does not matter to an extreme charedi, he can discuss the evidence more easily than you can. For his position does not depend on the scientific evidence. He rejects evolution regardless. Your position, however, does indeed depend on the scientific evidence. Regarding the inaccurate scientific conclusions in the Talmud, discussed in the previous essay, today's Daf Yomi was Bava Batra 25 which discussed the sun's path at night based on pasukim rather than empirical evidence. I would not call that science, which is empirically based. It should be noted that the gentiles didn't even figure this out for over a thousand years (and the resulting disputes within Christianity lasted centuries). @Charlie Hall: The "gentiles" figured out the sphericity of the earth in the 4th century BCE. There were some fundamentalists in the Middle Ages who started to doubt this, no one with any knowledge of astronomy doubted this. This is a very complex issue. This is the pattern I often see.People don't want to see a chumrah as a chumrah. Instead, they say that it has become customary to do things in this manner and as such it is now the normative halacha. I stopped taking you seriously after your original attack on R Bleich. After years of insisting that your opponents couldn't read English, didn't know philosophy, etc etc, you apparently felt so threatened by the fact that R Bleich doesn't go all the way with you that you felt the need to post a parody of his views that brought (noted fanatic) Rabbi Yitzchok Adlerstein's condemnation. As to the matter of this post "Rabbi Bleich apparently views ideal poskim in general, and himself in particular, as being nothing other than machines, coldly evaluating the sources and issuing a pesak, with no human component." Rabbi Bleich believes no such thing and has in fact explicitly written the opposite. But halakhic decision-making is indeed an art as well as a science. so, in theory at least, the decisor par excellence would be a computer. "I stopped taking you seriously after your original attack on R Bleich." But you take seriously a claim that spontaneous generation is scientifically viable, and that Chazal never actually believed in it anyway? Then why would rationalist Jews care about what you take seriously? "you apparently felt so threatened by the fact that R Bleich doesn't go all the way with you that you felt the need to post a parody of his view"
I didn't feel threatened by it. I thought his view was so ridiculous, and yet presented in such an arrogant manner, as to be worthy of ridicule. "Rabbi Bleich believes no such thing and has in fact explicitly written the opposite." Great. Unfortunately, he said the opposite to *that* in this interview. No he didn't. Your post is ridiculous from start to finish. You've extrapolated from his few words to suggest things he simply didn't say and then accuse him of contradicting himself. He did not say nor imply that there is no human element in psak, you'd have to be listening with jaundiced ears to hear that. Saying that there's no such thing as 'a' meikel or 'a' machmir does not imply that, even if you disagree with his sentiment. You are obsessing about R Bleich in an unhealthy and unconstructive way. He didn't say that there is *no* human element. But he did deny two *particular* human elements (namely, that people can have tendencies to be strict or lenient, and that people can change over time). And nothing in his article contradicts that - and if it did, then it would mean that he changed over time! So I guess it would be more accurate to paraphrase him as saying that poskim are *little more* than machines, rather than saying that they are *nothing more* than machines. But I don't see that as a huge difference. See too my latest post about Rav Aharon Lichtenstein's article. My basic position is that spelled out by r Gil Student here. "S1(80). R. Bleich contrives within the Gemara a case in which worms in fish are generally not permitted. S1(81). Microscopic approach is anachronistic and apologetic. B2(60). There is nothing contrived or anachronistic about the case/approach. S2(3). The overwhelming evidence is against the microscopic approach. [R. Bleich is correct. While I’m convinced that R. Slifkin’s approach is the most plausible, I don’t see overwhelming evidence and the determination of what is contrived and anachronistic is highly subjective.]" I don't think you should care what a pseudonymous online character like me thinks. My comment about not taking you seriously was more getting at the fact that your attack on R Bleich marked a shift on your part. Till then you argued from sources. I took that seriously because if a source says something, it says something, and you can't wish it away. With Rabbi Bleich it became a matter of judgement. On that score, I'm perfectly comfortable with accepting Rabbi Bleich's judgement even if you think it's ridiculous. Also, can you explain your criterion for what makes someone a rationalist? Specifically I want to know how you can describe rav kook as a rationalist and rabbi bleich not. Finally, I think it would show a bit of intellectual honesty on your part to update this post. At least note that your 'interpretation' of R Bleich postiton is (at the very least) an incomplete portrayal. "Its kunst lies precisely in the ability to make judgment calls in evaluating citations, precedents, arguments etc. It is not sufficient for a halakhic decisor to have a full command of relevant sources. If so, in theory at least, the decisor par excellence would be a computer. rather than a person. The decisor must have a keen understanding of the underlying principles and postulates of Halakhah as well as of their applicable ramifications and must be capable of applying them with fidelity to matters placed before him." There is another human element that does not seem to appear. Note that of the meta halachic data the decisor must factor, the state of the questioner is not mentioned. Only "judgment calls in evaluating citations, precedents, arguments etc." See contra R Lichtenstein's article where he writes " As anyone who has been privileged to observe gedolim at close hand can readily attest, they approach pesak doubly animated by responsibilty to halakha and sensitivity to human concerns." I replied to your comment. Any reason it wasn't posted? it was in spam. found it and posted it. See also his introduction to Contemporary Halakhic Problems Volume IV ("Halahka is indeed an art as well as a science") and "Is there an Ethics Outside of Halahka?" in the Philosophical Quest. It is clear that he's not advocating that a posek be little more than machines; he's saying that he is against a posek setting out to be machmir or meikil across the board instead of weighing each situation. And he didn't say that he never changed his mind, he says that his *approach* has not changed. That leaves plenty of room for him to change his mind upon discovering new facts, reading new sources, or having new ideas. He didn't say in the interview that there is *no* human element. But he did deny two *particular* human elements (namely, that people can have tendencies to be strict or lenient, and that people can change their approach over time). And nothing in his article contradicts that - and if it did, then it would mean that he changed over time! "And he didn't say that he never changed his mind, he says that his *approach* has not changed. That leaves plenty of room for him to change his mind upon discovering new facts, reading new sources, or having new ideas." Agreed. But why is it unthinkable for a person's approach to change over time?! And this obsessive witch-hunt against Rabbi Bleich is rapidly becoming ridiculous. Your attitude towards respected rabbanim has been disrespectful and disgusting. But at least you had the "excuse" that they came after you, banned your books and disgraced you. Rabbi Bleich did not initiate any attack against you. All that he did was disagree with your letter. You can in turn disagree with him without personally attacking him at every turn. Your comment is wrong on so many counts. First of all, Rabbi Bleich did a lot more than simply "disagree with my letter." But that's not even so relevant. What concerns me is that he is a person who is, in key aspects, strongly anti-rationalist, and yet he is very influential over a community that doesn't realize him to be totally out of step with their worldview, because he uses fancy language and a broad range of sources. And the ramifications, with regard to brain-death, are literally deadly. But in any case, it is your statement about my attitude to the charedi Gedolim that reveals why there is an unbridgeable gap between us. I, and most of the readers of this website, do not see polite but forceful disagreement with those who banned my books as either disrespectful or disgusting. Your white knighting for this rabbi is very low energy, Aryeh. Rabbi Bleich made a choice to make public statements about his views on these matters. That decision comes with opening his words to scrutiny. At least out here in rational real world it does. He's a big boy about it, I'm sure. You should be too. Um no, you're not very polite. And plenty of readers think you're a fascinating train wreck of outrageous arrogance, ignorance, and chutzpah. We're what might be termed "religious philosophy rubber neckers". 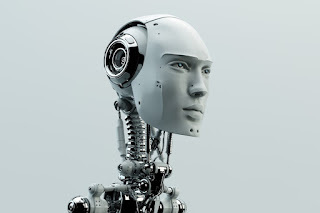 1- This new robot picture really need a fedora and beard. 2- Back in the ban days, it was you who kept the level head while people were yellimg personal attacks. It was a crisis pf faith for many opus to see alleged role models behaving badly. But at least in public syou kept your cool. Don't change that; walk this back. > In a recent by book by R. Yuval Sherlo, Reshut ha-Rabim, p. 102, he acknowledges moral advancement and concludes: "Despite all the hypocricy and cynicism there is moral progress in the area of human rights. True religious people believe that this is the will of God." > All this stands in opposition to R. J. David Bleich's incredible statement: "The halakhic enterprise, of necessity, proceeds without reference or openness to, much less acceptance or rejection of, modernity. Modernity is irrelevant to the formulation of halakhic determinations" Contemporary Halakhic Problems (New York, 1995), vol. 4, p. xvii (emphasis added). This statement is wrong on so many levels that I am inclined to think that Bleich simply didn't express himself properly and meant to say something other than what appears from his words. In any event, in a future post I will return to Bleich's controversial understanding of the halakhic process.